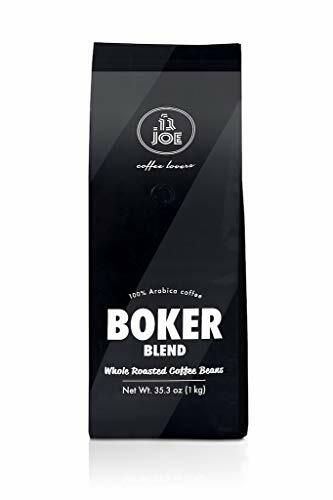 Start your day with Boker, a slightly bitter, yet delicate bodied blend of Arabica beans. This blend has a bright floral sweetness of sunflowers and pears that creates a smooth body. The Boker blend consists of four different varieties of coffee beans: Costa Rica, Colombia, Brazil and Guatemala. Cafe Joe’s state of the art coffee production facility is located in the city of Holon. It currently produces 300 tons of coffee annually, which are served as unique blends in our hundreds of cafes and other points of sale, as well as in the leading hotels and restaurants across Israel. Cafe Joe’s coffee production process begins with the importation of green coffee of only the highest international quality standards. The coffee is sourced from the finest coffee farms across the world and is vetted by coffee experts in Italy and then by our own in-house experts. Each coffee variety is roasted separately, in small batches. This allows Cafe Joe to preserve the individual flavor and scent profiles that are unique to the area from which the coffee originates. Cafe Joe’s freshness is felt in the quality of the coffee and can be enjoyed in every sip.